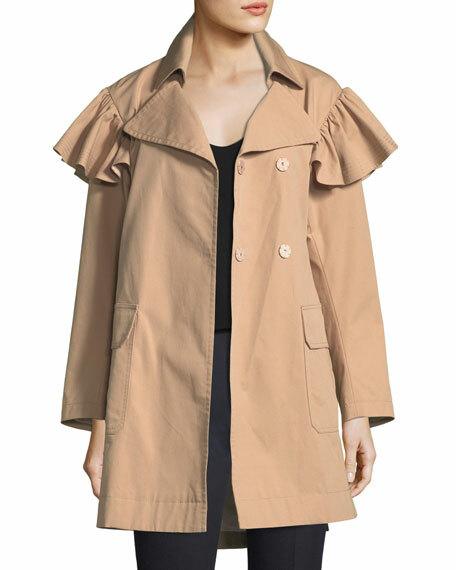 Rebecca Taylor trench coat in cotton-faille. 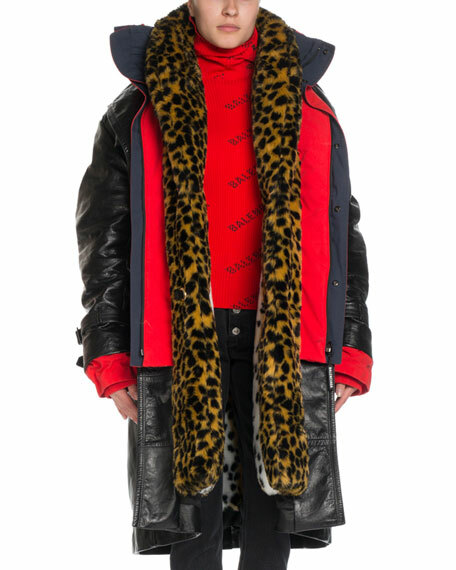 For in-store inquiries, use sku #2330682. 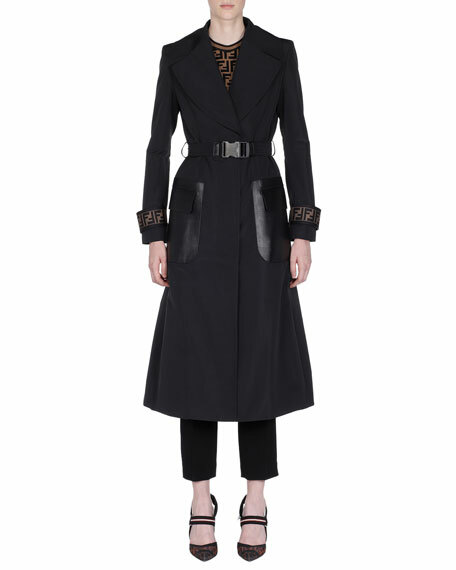 Fendi trench coat in twill, featuring leather patch pockets. Peak lapel; hook front. Long sleeves; logo cuff tabs. 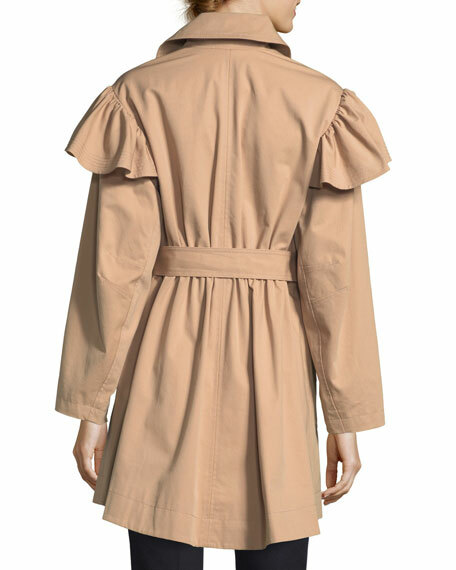 Large flap pockets at hip. A-line silhouette. Hem hits calves. Polyester/cotton. 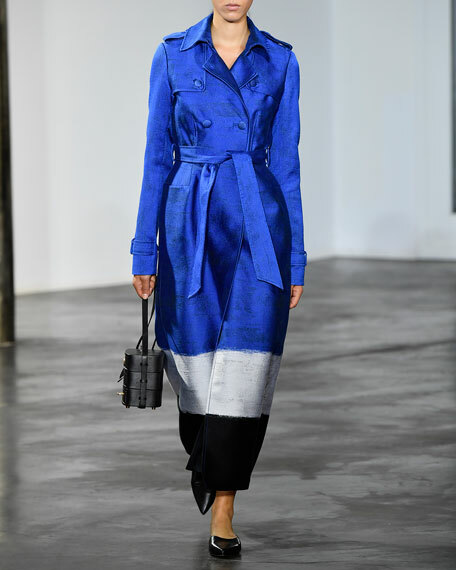 Lining, viscose/silk. Made in Italy. 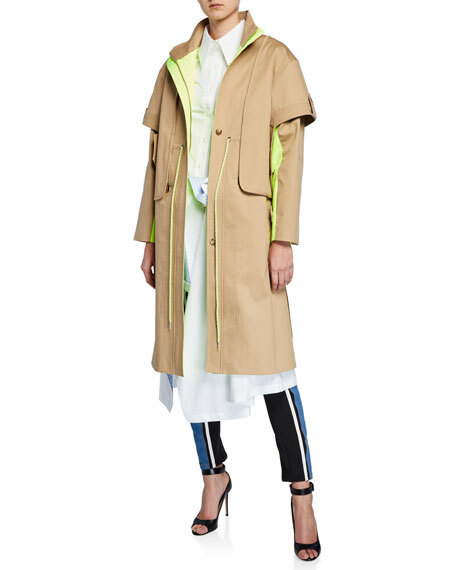 Gabriela Hearst "Ceuta" trench coat in gabardine with colorblocked hem. Notched lapel; double-breasted, covered-button front. 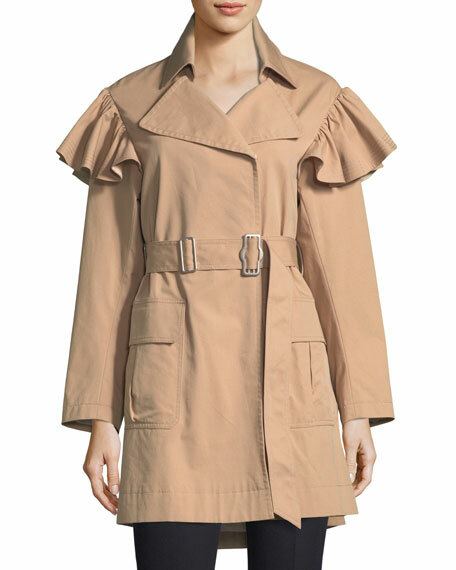 Long sleeves; tabbed cuffs. Self-tie sash cinches waist. Gun flaps. Hip slip pockets. Floor length. Polyester/cotton/silk/nylon. Made in Italy.